13th May 2010. The Photo Comp winners have been announced - Some fantastic photos! Two new products released in the Online Shop. Great response to EOTrackMe launch, now with new functionality. 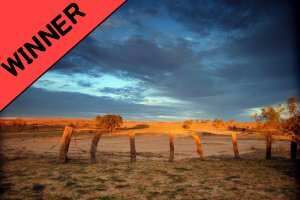 After much deliberation, judging is complete and we proudly announce the winners of the ExplorOz 2010Members Photo Competition. This year, whilst we had a staggering 501 entries, it was a difficult choice to find the winning shot as we struggled to find the photo that was not only depictive of "ExplorOz" but was also of a high quality in composition, technique, light, and colour yet remaining universal so that anyone could hang the photo in their home and feel a sense of pride and ownership. Please join with us in congratulating the winners on the2010 Photo Competition Winners Blog. Thanks to all who took the effort to create a blog and submit a photo to this competition. Even if you didn't win a prize, we hope you enjoyed the experience of sharing your photos, as we certainly enjoyed viewing the incredible variety of photos submitted and hope to see more photos and travel blogs from you in the future. And if you’re looking to enhance your ability to best capture the people, landscapes and wildlife encountered in your travels, have a look at Steve Parish’s book How to Photograph Australia a great resource no matter what your experience level. Don't forget, the next stage is just beginning whereby you can place a bid for the finished Photo Print Memorabillia. The auction for the print will take place at the ExplorOz National Gathering however even if you can't attend you can bid by proxy in the lead up to the event (stay tuned for more information). Ron and Viv Moon’s, Cape York – An Adventurer’s Guide has just arrived. The new 12th edition which has been fully revised and updated now comes in a handy spiral bound format. Also, a new addition to the popular Hema Atlas and Guide Range. 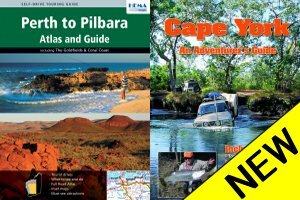 The The Perth to Pilbara Atlas and Guide, has detailed coverage of the entire area from Perth north through the Coral Coast to the Pilbara and inland to the Goldfields.